Information about this beautiful medieval fortress recently converted to a modern conference venue is available through the Centre's website. The closest international airports serving Bertinoro are Forlì (Aeroporto di Forlì "Luigi Ridolfi"; FRL; approx. 12 km away), Rimini (Aeroporto Internazionale "Federico Fellini"; RMI; approx. 54 km away), and Bologna (Aeroporto "Guglielmo Marconi" di Bologna; BLQ; 100 km away). Although furthest, Bologna is the airport with more international connections. If you fly into Bologna, be aware that there is a regular shuttle service between the airport and Bologna central railway station. The trip takes approx. 20 min. More information is available here (only in Italian) or ask at the airport. Using the Bologna-Rimini line, several trains stop at Forlì (if you plan to take a taxi, you may also get off at Cesena, as the distance is almost identical). Forlì railway station is approx. 14 km away, while Cesena is approx. 16 km away. Taxis are available outside both railway stations and should cost less than 20 EUR—you are advised to ask before starting your trip. A closer railway station is Forlimpopoli, but this is served by fewer trains. Timetables of trains can be found at the Ferrovie dello Stato website. From outside the train station at Forlì, bus no. 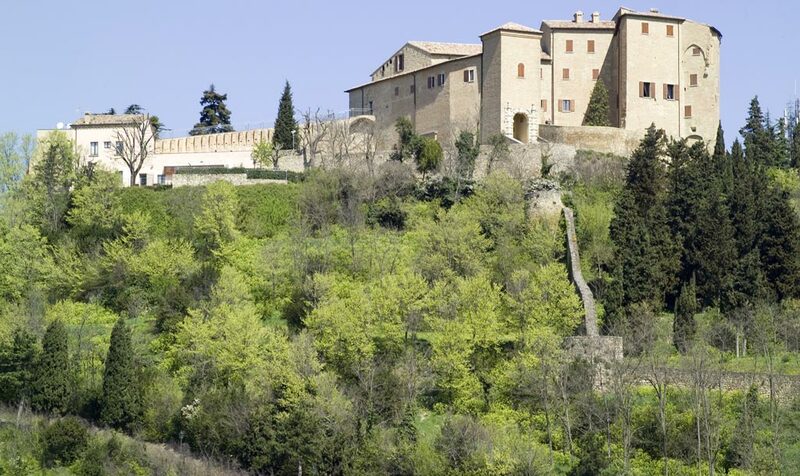 134 takes you to Bertinoro. The most up-to-date timetable known to the organisers is available here (in Italian). More information on public buses can be found here. The motorway serving Bertinoro is the A14. Take the exit Cesena–Nord (Cesena–North) and follow the E45 to Cesena. From Cesena, follow the SS9, "Via Emilia", towards Forlì. Pass Capocolle and then, after Panighina, follow the SP65 to Bertinoro. From the motorway tollboth at Cesena-Nord to Bertinoro, it takes about 15-20 min. Information about current traffic conditions throughout the Italian motorway network can be found at the Autostrade per l'Italia website.